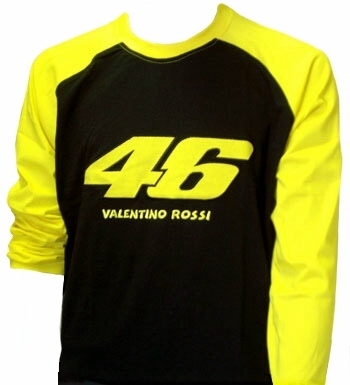 Valentino Rossi Longsleeve Shirt - Black / Yellow. Long sleeve shirt in raglan cut with large 46 print on the front. Buy it NOW and qualify for FREE SHIPPING, World-Wide ! This is of course official Valentino Rossi Merchandise.